For many people who want to live in their dream home, the best way of doing this is to construct it themselves. This has become very popular in recent years due to the instability of the property market and an influx of television programmes documenting people going through the process. However, if you thought just simply moving into a new home was stressful, it is nothing compared to trying to build one of your own. 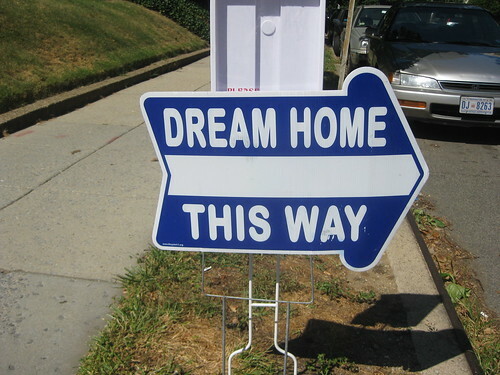 There are many things that need to be taken into consideration and it can be a long and arduous road but hopefully your dream home lies at the end of it. Here are few things you may want to think about during the construction process. The Construction Triangle – This is a theory that works on the basis that there are three essential ingredients to the construction process and you can’t have all three. These elements are time, cost, and quality. For example, it is very improbable that you will be able to create a quality home, at a low cost in a short space of time. Therefore you need to decide which one of these you are willing to compromise on. Involvement – After you have handed over the initial plans and construction has commenced, you are then free to decide how much further involvement you want to have in the process. Some people will sit back and trust that everything is in hand whilst others will want to know exactly what’s happening at any point in time. One thing to remember though is that you should avoid making too many changes once the contracts have been signed. Doing this could result in you being charged significant extra costs for work that wasn’t agreed in the original plan. SAP calculation – SAP calculation is something that was brought in during April 2006 and is now a legal requirement for any construction of new dwellings or redevelopment of existing dwellings. It measures how energy efficient your home is leading to the creation of its energy performance certificate or EPC. With this in mind it is best to design your home so that it is as energy efficient as possible as this will lead to reduced energy bills that could save you hundreds of pound in the long run. Acoustic Testing – If you are planning on building your property in the vicinity of a main road, near a train station or in the flight path of a busy airport then you may want to carry out some acoustic testing in order to reduce the disturbance from noise pollution. You can then put things in place to combat this and make sure that your dream house isn’t affected by nightmare surroundings. Acoustic testing is also great if you are planning to build an area that is to be used as a home cinema or practice space for a band. You can then put the right measures in place so that the rest of the house is not disturbed. Always Have A Contingency Plan – With something as vast and changeable as building your own home, you always need to have a back-up plan. You made need to adjust the timescale or inject a bit more cash to pull off something that you desperately want so you need to be prepared to do this. Plans may also have to be adjusted if you find out that something just isn’t possible or once you see something in reality it may not look as good as it did in your mind’s eye. In all these cases, it is best to have a contingency plan to avoid backing yourself into a corner. Chris Mayhew is writing here on behalf of Air Testing Solutions. This sub-contractor for the construction industry offers acoustic testing, SAP calculation and air pressure testing to the commercial and residential industries. Visit their website today for more information.